Does anyone else get overly excited about changing your calendar to a new month? Like I mean so excited that you were on the bus this morning eagerly awaiting your arrival at the office to see what pretty picture the month of September would bring while trying really hard not to smell the man two rows ahead of you who was wearing a winter hat and coat (on a 90+ degree day) and sitting on a trash bag? Hypothetically? Like the calendar? I got it from this cute Etsy shop. 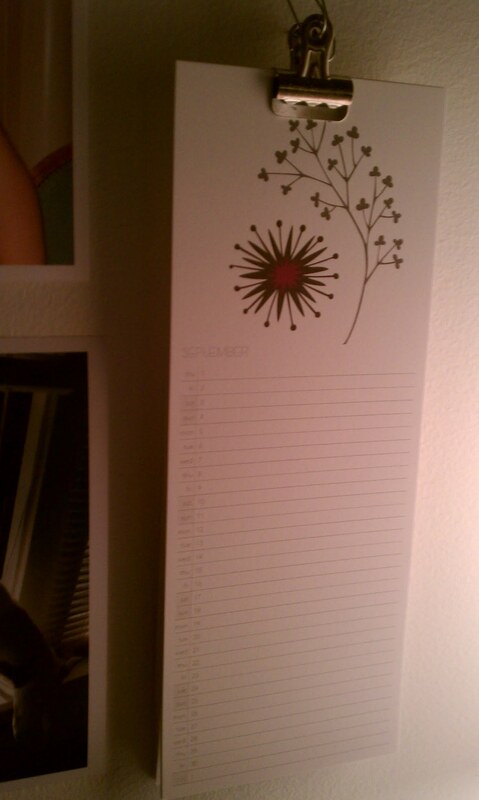 This entry was posted in My life and tagged calendar, Carlie, September by carlieblissirwin. Bookmark the permalink.